This planet-friendly dessert is incredibly delicious and very simple to prepare. 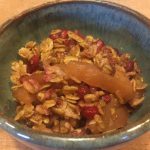 It’s perfect for fall and winter when apples are in season, and you can add other fall fruits including pears and pomegranates. In the spring, substitute in blueberries for the apples (because you don’t need the peeling step, the blueberry crisp is lightning fast to prepare). Your guest will love this climate-friendly dessert using seasonal fall fruits. 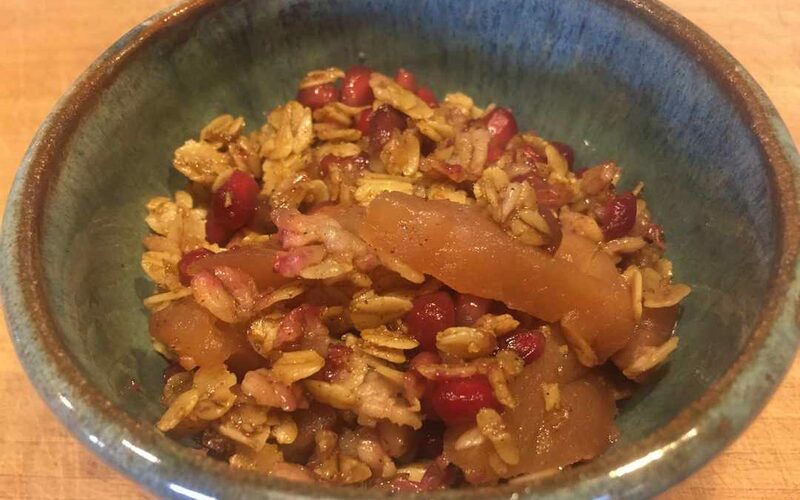 Apples are used here, but you can also make it with pears and pomegranates. 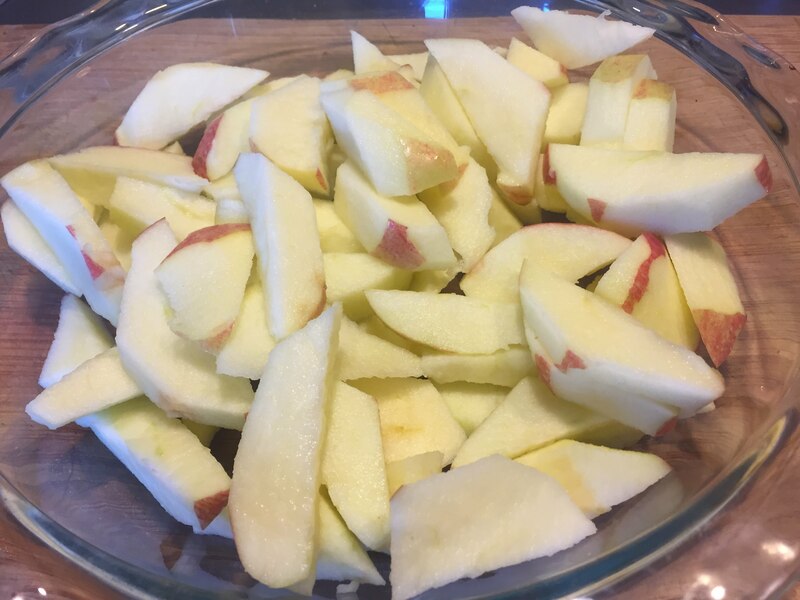 6 medium apples peeled. You can substitute pears. Peel apples. It's okay if some peel pieces remain. You can use the peels as a snack or in a smoothie. 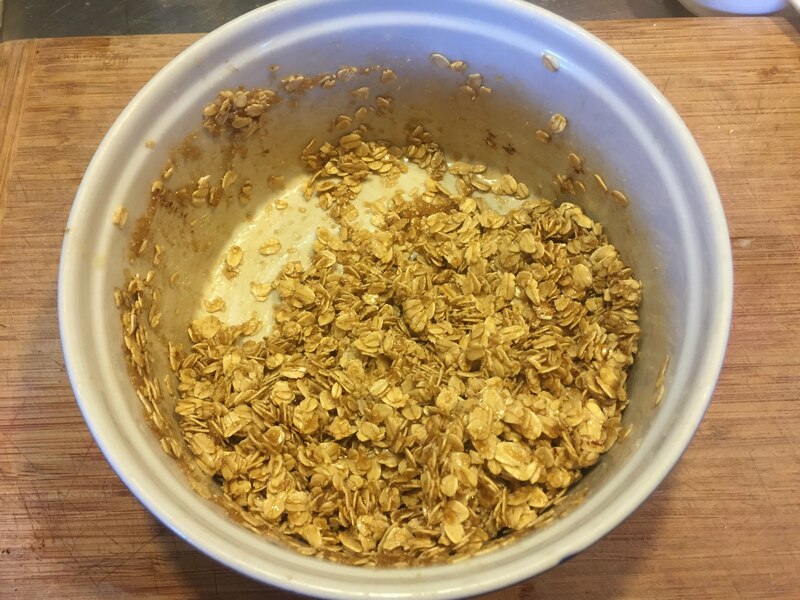 Melt the vegan butter, and add the brown sugar, oats, cinnamon, and salt to it. Mix to make the topping. 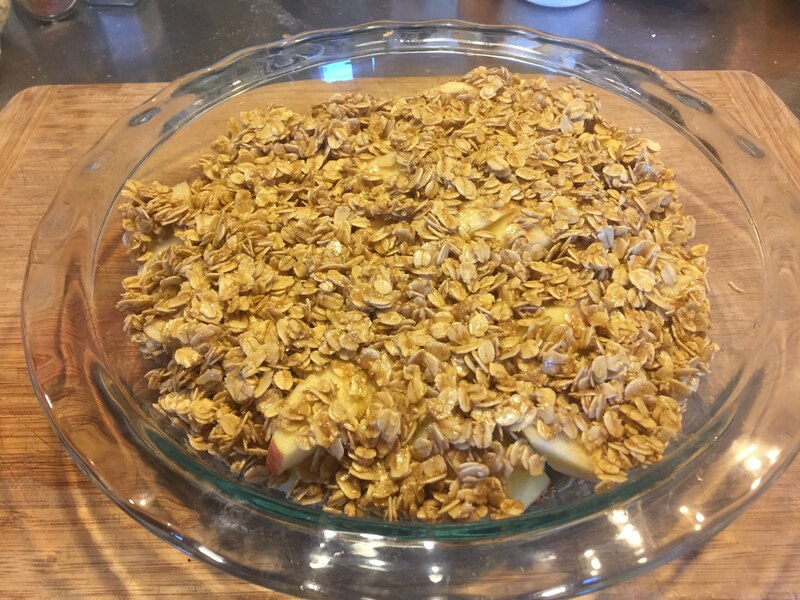 Place apples in a casserole pan that has a cover, or you can use aluminum foil. You can also add pomegranate or other fruits. Sprinkle the topping on. For a more decadent dessert, increase the ratio of topping to apples, and vice versa. Bake for 40 minutes or until apples are soft. This recipe has a carbon footprint of 688 g CO2-eq (per serving, the footprint is 115 g CO2-eq). A traditional recipe using dairy butter rather than vegan butter (but otherwise the same recipe) has a total footprint of 1,871 g CO2-eq (or 312 g CO2-eq per serving). So, you can see the large reduction in carbon footprint that comes from using a vegan butter like Earth Balance or Melt rather than dairy butter. 1) dairy cows require feed crops, which in turn require fossil fuels for fertilization, production, and transport. In addition, the dairy industry has close ties to the veal industry. Both male and female calves are taken away from mothers soon after birth, and even from organic farms, male calves typically are raised for veal. Females are raised with other female calves for use as dairy cows. The greenhouses gas emissions saved per recipe is equivalent to avoiding a 5.3 mile drive in a 40 MPG car. A similar shift every day for a year would save the equivalent of GHG emissions from 1,943 miles driven. Putting this reduction in terms of the per capita reduction required to meet the Paris Climate Accord targets (see the article Taking Climate into our Own Hands for more information), it amounts to 32% of the daily per capita reduction. For other great holiday recipes, see Cherry Pie and Pumpkin Pie for the Planet. Please join our FB group for great recipes and conversation on food and environment. 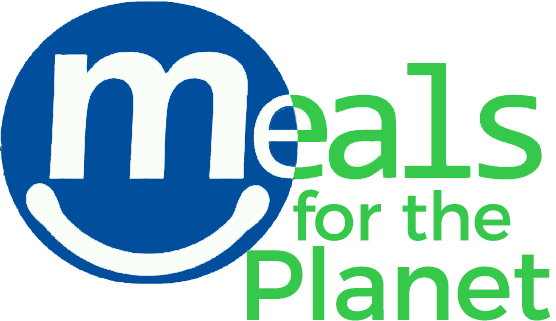 Also, you can follow us on instragram: #meals4planet or twitter @meals4planet. Heller, M.C. and G.A. Keoleian, G.A. (2014) Greenhouse gas emission estimates of U.S. dietary choices and food loss. Journal of Industrial Ecology.